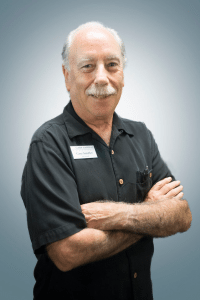 A real character – one of the most knowledgeable and colorful real estate agents in the game – that’s how many friends, clients and business colleagues have referred to Gary Sandler, owner of Gary Sandler Inc. Realtors – also now the longest running talk show host in southern New Mexico. Sandler, a southern California native with a long history in real estate, hosts a talk show from 4 to 6 p.m. every Monday on KSNM-AM 570. He also regularly contributes his real estate know-how to the Las Cruces Bulletin. “To be able to operate in such a friendly environment and to have the open spaces to share with people is a bit like heaven,” he said. Helping people is akin to Sandler’s personality. “People like me because I’m positive, and if there’s a way, I can find a way to get it done,” he said. Sandler was born in Long Beach, Calif., where he attended and graduated from Robert Millikan High School. Sandler joined the Air Force post–graduation, “to avoid the draft,” he chuckled. He became a B-52 crew chief during his four years in service. It was during his time in service Sandler met his first wife, which led him to a new life in Council Bluffs, Iowa. There, he applied to become a firefighter, but jumped at the chance of becoming a police officer. “I enjoyed my time as a patrol officer in Council Bluffs, but honestly, the pay was too poor – you couldn’t make a decent living at it,” he said. Instead, Sandler focused his efforts on maximizing his selling potential. He left the force after two years and began selling Chryslers. It was also during his time in Iowa that Sandler’s first daughter Julie was born, but never wanting to sit still and with a desire to fish in a bigger pond, Sandler again was California-bound. He returned to his hometown to sell real estate with his father and grandfather, who were already established Realtors. From the late ’70s to the early ’90s, Sandler comfortably lived in harmony with the real estate industry. He learned to predict market shifts, became attuned to his clients’ needs and prospered from his ability to sell homes. Sandler said he often gave the same response when people questioned the California market. “It’s unbelievable, I would tell them. Because it was – it was either unbelievably good or unbelievably bad,” he said. After unsuccessfully moving further south to escape the congestion of the big city and watching market trends continue to fluctuate, Sandler decided it was time to start a new chapter in his career. Always analytical, Sandler researched various Southwest locales and chose Las Cruces to make his new home. Sandler moved to Las Cruces in 1993 and began working for Electronic Realty Associates, where immediately he made an impact. Sandler then moved on to work for Re/Max Classic Realty, where he became the No. 3 Re/Max sales associate in New Mexico. In 2001, Sandler started his own business, Gary Sandler Inc. Realtors, occupying space in the Telshor Towers business complex. In 2003, Sandler took his show to KSNM-AM 570 and his column to the Las Cruces Bulletin as part of a rebranding effort. Together, they formed Gary Sandler’s Real Estate Connection. Today, Sandler operates from his own location at 300 N. Main St. Las Cruces, NM 88001, and sermonizes real estate over the airwaves every Monday afternoon. He said retirement is still not in the picture.